When it comes to finding the best life insurance for seniors over 60, there are many options that are available. 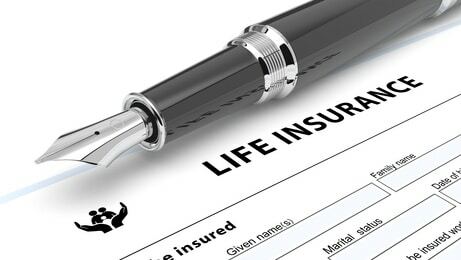 The right life insurance policy will cover funeral expenses, pay off debt and estate taxes as well as cover other needs. While it is not all that difficult to find life insurance over 60, the number of options available may seem a bit overwhelming at times. The task faced by senior parents over 60 in finding the right life insurance policy is choosing one that balances their needs while remaining affordable. This will mean doing a little research, but thanks to the internet it is easier than ever to find free quotes from insurance companies. This is very important as you will want to find the best combination of policy, benefits and reliable insurance company so that your family is protected in case you should pass away. Here is some interesting stats for you. According to the National Council of Aging, 25 million American seniors over 60 years are economically insecure due to various reasons such as rising health and medical bills, housing rents, jobless and diminished savings. More than 61% elderly over the age of 60 has some sort of debt (in 2013). (Source). So, how would you protect yourself and make change in your financial status? The best possible answer is to buy an affordable life coverage. Let’s find out the types of life insurance available for elderly parents over 60 years so it becomes easy for you to pick the most suitable one. Your search for the best life insurance for seniors over 60 begins by going through the market and searching for free quotes as provided by the insurance companies. 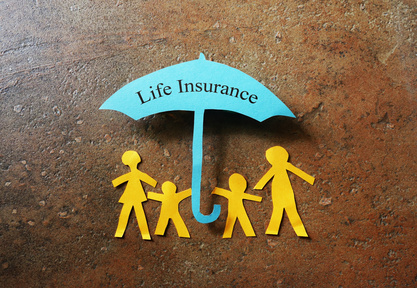 However, before you begin your search, it does pay to know the types of life insurance that is available for your needs. Whole Life Insurance: This is permanent life insurance that often comes with a building interest rate that will actually increase the amount of benefits above and beyond what your premiums will cover. Plus, it is a policy that you can cash out when it reaches full term. However, by the age of 60, it can be tough to get a whole life insurance policy that is going to build cash value. Generally, it is better to invest your money into other, more lucrative endeavors and instead focus on term life insurance. Term Life Insurance: This is life insurance that is set for a pre-existing period of time that may last from 5 to 30 years. While there is no building interest rate, the overall premiums are far lower which makes this a very affordable form of life insurance and one that most people find attractive. This is one of the least expensive types of coverage you will find. Most life insurance policies will require a medical examination which means that your health will play a large role in the premiums that will be charged. However, there are other forms of life insurance for people over 60 that do not require a medical examination or even answering questions about your health. Guaranteed Issue Life Insurance: This form of life insurance has no medical exam nor are there any health questions. If you apply, you are automatically approved. However, the premiums are the highest of all life insurance policies and there is usually a two to four year wait depending on the policy for the full benefits to kick in. 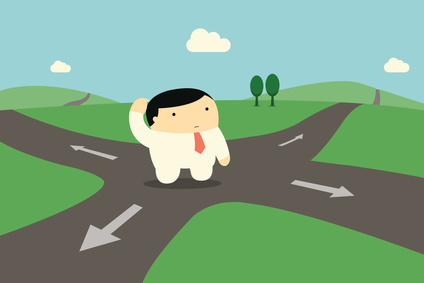 Guaranteed acceptance life policy is a wise choice for those with health concerns. You might be wondering how to find an affordable life insurance for seniors over 60? Read below. Now that you know what term life insurance policy for seniors over 60 that you want, the next step is finding the right insurance company or agent who offers a policy that provides the best benefits at the lowest monthly premiums. You can always start with the insurance company that provides your home or auto coverage. However, from there you should go online and find free life insurance quotes over 60 that will fit your particular needs. Free Online Life Quotes: Here, you simply enter the information that is required which is usually the amount of the benefits, your age, any particular health issue and other pertinent information and you will receive a free quote from the company for that particular policy. This is the way that you can find the best life insurance for over 60 as you can compare several policies and their premiums in order to find the one that suits your needs the best. For seniors who may have a little trouble finding all the websites that carry this information, seeking out help through an independent insurance agent is one way to ensure that you get the best quotes. You can get free life quotes from us and according to our research when people request multiple quotes (minimum 3) and compare, they save a massive 70%. This is crazy.. Click Here Now. When getting life insurance for people over 60, there will be factors that increase the premium over what younger people would pay. Insurance is based on statistics which means that the older you are, the more likely you are to pass away. This rather simple truth is part of why life insurance companies will charge older people more than younger people for their insurance policies. A big factor when it comes to increased premiums in getting term life insurance for parents over 60 is the higher number of health or life style risks as compared to those in their 30s or 40s. High blood pressure, diabetes and cardiovascular disease are far more prevalent in older generations, so the insurance companies set a higher premium in these cases. So, it’s not only being closer to the age of the average life span, but the increased number of health risks associated with being older that makes affordable life insurance for over 60 more difficult to obtain. Although your premiums will be higher on average than a younger person, it does not mean that you are barred from inding the low cost life insurance for seniors over 60. If you take into account the needs of your family, then you can fashion the right package that will provide the best benefits while staying at a decent rate. This will mean calculating the cost of your funeral, which today averages roughly $9,000 and adding in any debts that must be covered if you should pass away unexpectedly. Once you have totaled up the benefits needed, you should add a little more to cover any unexpected expenses and that is the total needed for your benefit amount. Want to know the most satisfying part? We are here to help you find the right package with most affordable rate because we offer you a decent policy only from the top life insurance companies in the USA. By getting free online quotes for life insurance over 60 from us, you can find the most affordable rate from a reliable insurance company that will be there for your family. By taking a little time to do the research and finding the best policy, you can provide financial protection for your family or parents which will help them get through this time of grief.